Guido has 20 years’ experience in banking & finance and international capital markets transactions. Prior to joining Global, Guido worked for a UK "Magic Circle" law firm and was the Head of Legal at a top tier international investment bank in both London and Milan. Guido’s specialisations include institutional offerings of bonds, offerings of notes, listings, IPOs, secondary offerings, securitisation transactions and derivatives. Guido has been involved in some of the largest and most innovative Italian cross-border banking & finance and international capital markets transactions. 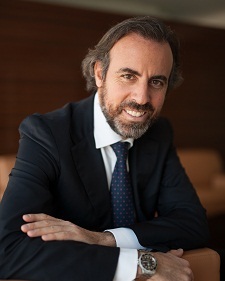 Guido was admitted to the Italian Bar Association as a lawyer and advocate in 1999. Guido travels extensively and is regularly invited to speak as an expert at conferences and a contributor to panel discussions on the subjects of international banking and finance laws.